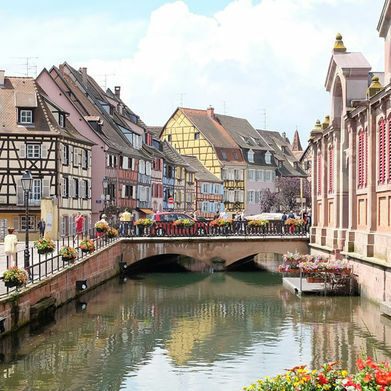 Cycling is one of the best ways to truly get to know a country. On two wheels, every town and village is open to the adventurous traveller. The small museums a few miles out of town? No problem. A tiny, rural eatery miles off the beaten track? Let's go! 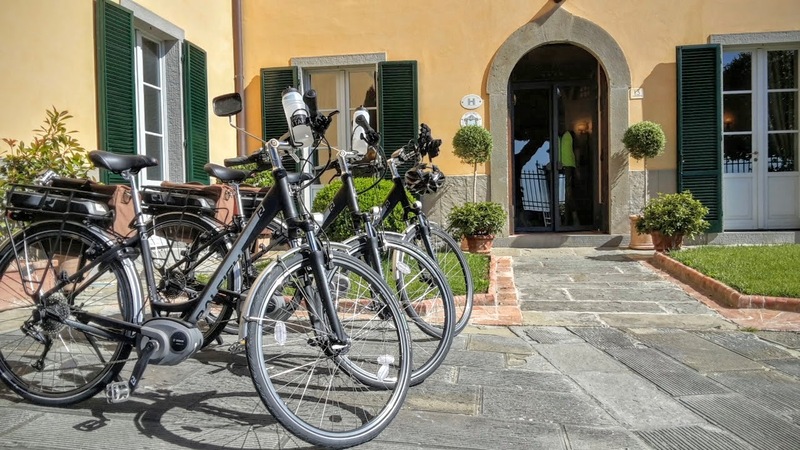 There are some occasions, however (probably when you’re halfway up a steep, Tuscan hill), when cycling perhaps won’t feel like quite the right choice for your holiday – after all, it’s about relaxation, right? Cue the e-bike: a hybrid of old-fashioned pedal power and a sophisticated battery-powered motor that takes over right when you need it to. E-bikes allow cyclists to cover great distances, and conquer hilly terrain, with much less effort than an ordinary cycle. Rather than the bike doing all the work for you, it puts you in charge of just how strenuous you'd like your ride to be. Because part of the fun of an activity holiday is, of course, getting some good exercise in between indulgent Italian meals! 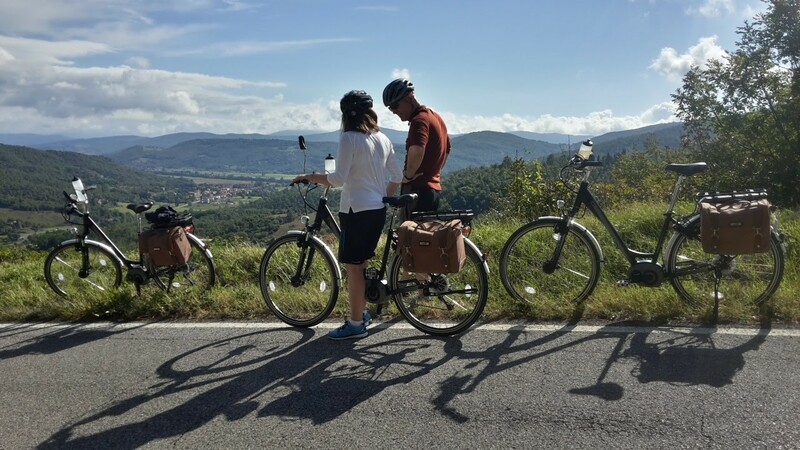 We currently run two dedicated e-bike tours here at Cycling for Softies, both in Tuscany. 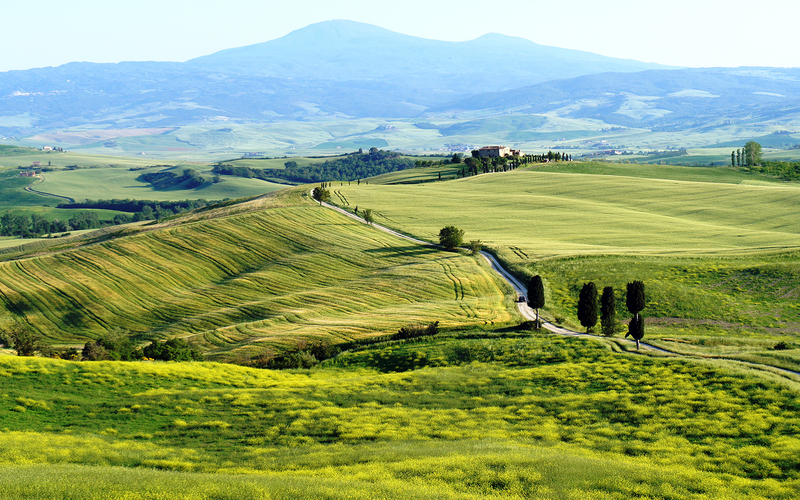 Using the e-bike’s impressive range, the guided trips (self-guided options available) cover large swathes of this sublime region of Italy, giving visitors the opportunity to experience multiple strains of peaceful Tuscan life. 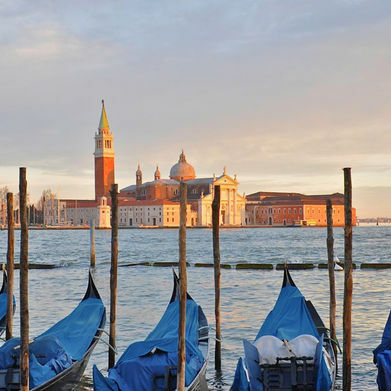 From Montona to Cortana, the itinerary takes visitors on a circular route through Tuscany and Umbria. As well as being useful in covering great distances, your e-bike certainly comes into its own during the hillier sections, for example on the ascent to Assisi. The climb is certainly worth it, as from the top you'll be able to enjoy nearly uninterrupted views over the expansive valley. Home to the Roman Catholic friar St Francis, Assisi has several renowned depictions of him created by early Renaissance artists. These can be found in the monastery that bears his name. For cyclists who prefer cuisine to culture, there are cafes and restaurants aplenty on the famous via San Rufino. It’s not just Assisi that gets people excited about this holiday; the itinerary includes a visit to the Roman Empire's second-largest theatre, and a trip to Cantina Goretti winery, where you can sample L’Arringatore, the wine of the Pope. Beginning in Cortona, this tour takes you through the Chianti hills before getting back to Radda and Cortona. You’ll be thanking yourself for choosing an e-bike, as the long and winding roads of this area can tend to put off the less intrepid. The Chianti region is rich in activities that combine culture and cuisine. Our itinerary includes the medieval village of Asciano, the glorious wooded valleys of the Chianti (and its delicious wines), and the charming town of Radda. Thanks to the e-bike, this itinerary takes in miles of Tuscan and Umbrian scenery whilst keeping pedalling times down to under four hours per day.